Adventure game for kids ages 2-4. Is there a better alternative to Thomas & Friends Misty Island Rescue? 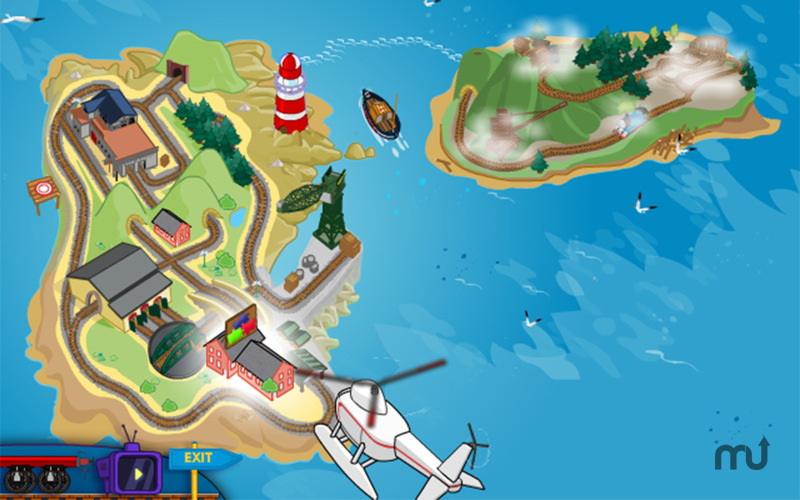 Is Thomas & Friends Misty Island Rescue really the best app in Adventure category? Will Thomas & Friends Misty Island Rescue work good on macOS 10.13.4? Minor improvements to application usability. Thomas & Friends Misty Island Rescue needs a review. Be the first to review this app and get the discussion started! Thomas & Friends Misty Island Rescue needs a rating. Be the first to rate this app and get the discussion started! The Thomas & Friends television series can be seen in over 130 countries worldwide. Now the adventure continues with easy-to-use software based on "Thomas & Friends Misty Island Rescue" the movie. Packed with 10 exciting games and activities for kids ages 2-5, Thomas & Friends Misty Island Rescue lets preschoolers join Thomas and his tank engine friends on the Island of Sodor and beyond. With multiple levels of game play for all skill levels, little engineers can experience Thomas' wonderful world while learning essential preschool lessons. As they build the new Search & Rescue Center together, they'll learn the value of friendship, fair play, teamwork and what it means to be a Really Useful Engine!